April 24th, 2012 marked a new day for Google’s search behavior when they rolled out an update code-named “Google Penguin”. This update was directly targeted to websites that that violated their published set of Webmaster Guidelines, a set of best practices for Google to “find, index and rank your site”. It received attention from the massive upheaval that resulted from the update. Sites that were ranked #1 one day tanked the next. An expert SEO company following the Webmaster Guidelines however, would have shrugged off the update. So why would some sites lose their ranking and others unaffected? After all, every site should be using SEO. Well, it all boils down to what techniques your SEO expert has used to optimize your site. This is what separates what is known as “Black Hat” techniques (Bad!) versus “White Hat” techniques (Good!). What is considered Black Hat? All the following techniques are considered violations of Google’s Webmaster guidelines and the Penguin update was used to penalize sites practicing these methods. Keyword Stuffing: You’ve likely come across something like this in the past: “Johnson Plumbers in Michigan are the best plumbers in Michigan because Johnson Plumbers in Michigan are highly rated”. This unsightly practice was once used to tell Google that the more my page talks about a particular keyword, the more relevant the site must be and the higher the rank it should get. Cloaking: Site operators use this technique to present web site content different to Google than to a human reader. Why would they want to do this? Think of the example above with keyword stuffing. The text used is awful and many users would abandon the page. However those following this black hat SEO method would present keyword-stuffed content only to Google and something much more readable was displayed to human readers, keeping people from fleeing. Duplicate Content: Google rewards sites with higher rankings for those who create new content, and penalizes those with duplicate content. To get around this, some “authors” would take a page, apply article-spinning techniques and throw it onto a site. These spinning techniques slightly changed wording of an article to trick Google from detecting it as duplicate. However an expert SEO company recognizes that Google’s algorithm is continually improving its ability to detect duplicate content. 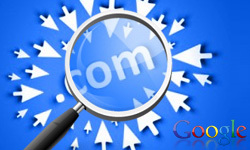 Interlinking: Google places high value on a site that has many incoming links. In general, it sees this as a sign of popularity and rewards the site with a higher ranking. Where it becomes an issue and violation of Google’s policies is when you build multiple sites that all link between each other, with the main intention to boost your own “link juice”. Never forget that Google’s priority is to give its search engine users the best possible experience. It rewards sites that create unique, interesting and popular content on an ongoing basis. 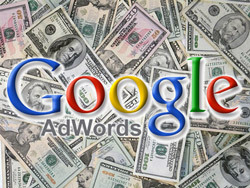 Whether the content is created on your own site or created as a guest post on another, Google intends to reward you for good content. Should you be worried about exchanging links from other sites? Absolutely not, if done the right way. The sites you should exchange with should be relevant and you should avoid sites that have been penalized by Google for bad linking practices in the past. Using PageRank can help you decide which pages are more desirable than others. Always keep in mind, there’s a right way to approach SEO and a bad way. Don’t try to out-trick Google with black hat methods. Make sure whoever does your SEO, does it right. Mercedes Potter is an elite writer and Inbound Marketer who practices SEO techniques with one of the leading SEO companies today, Webimax. Follow her @CedesPotter to see other related SEO news. In theory, I agree with what you are saying in regards to the Penguin updates, although I can show you several different examples of companies doing mass sites, with mass interlinking and many home page shells with internal pages linking to other domains and they are doing very well in the SERPs for their main domain. Very well.. They are even using exact content from one web domain to another. Just thought I might drop a note and there are exceptions to what you posted. Google is a very smart company because they do things like this. They know what’s going on and they’re doing what they can to prevent it. No wonder they beat all other search engines. 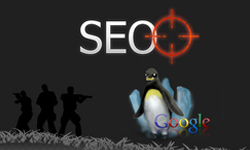 Black hat SEO is really just gaming the search engines, so I wouldn’t blame the Penguin for not showing mercy at all. I personally am part of a black hat forum but I really try to stay in the white hat – grey hat side of SEO. Manual backlinks is the way to go. Natural links prove the statement ‘Content is King’ to be true. The major thing that Penguin cracked down on was the backlinking craze and over-optimization. Too many were getting artificially boosted by doing backlink blasts across hundreds of non-relevant sites. Penguin helped by discounting those irrelevant and usually spammy links, and in some cases, even penalizing for them. Hopefully, this will put an end to the lousy spammers creating hundreds of fake profiles and such on everyone’s forums. Hats off to all the white hat SEO master out there!